There are so many historic and cultural places to visit in London that it's hard to know where to start. Somewhat to our surprise and disappointment, the range of events is more limited. There isn't much theatre happening apart from musicals and kids shows. And apart from the Proms, not many concerts either - nothing in Festival Hall or the Wigmore Hall. It is school holidays, of course. Fortunately the museums are all open. Our favourite of these is probably the Docklands Museum, walking distance from where we are staying. It occupies one of the few warehouses left standing after the Blitz, at the end of Canary Wharf. It presents a fascinating history from the time when all the docks in the area were created, to the present day when the land is being reclaimed for sky-high office buildings and trendy flats. In between there are all the wartime stories, and a wonderful, if wrenching story of slavery. We spend the best part of a day there. Peter loves all the science and technology museums. He makes two visits to the Science Museum in South Kensington, one to the Royal Institute where Faraday did his experiments, and goes to Bletchley Park for the day. Helen joins him at the Royal Institute (where we are the only two visitors) and on one of the Science Museum visits. 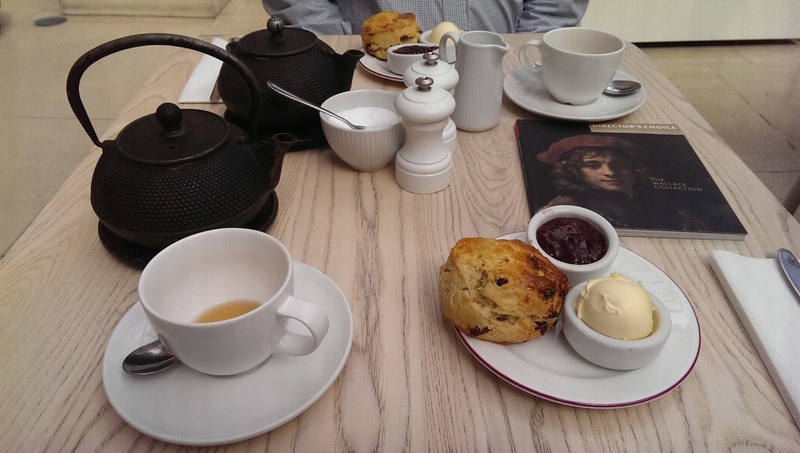 On the artier side, we go to the Wallace collection twice, and the National Gallery once. We go to the British Museum, but it's hot and crammed with tourists, so we make our visit a short one. Helen manages to get a single return to see Macbeth at the Globe Theatre, the only serious theatre going. Her enjoyment of the performance is slightly marred when the mobile phone of the person beside her buzzes just as Macbeth begins "Tomorrow and tomorrow and tomorrow...". She feels the need after the show to explain to the young girl that turning your phone off means turning it OFF, not just putting it on silent. And that even if you don't actually answer it, it's just as distracting for the person beside you if you pull it out of your bag and start texting. Music-wise, we go to an organ recital that just happened to be on at St Paul's Cathedral when we walked there on our first evening, and a lovely concert of baroque music in St Martin-in-the-Fields on our last evening. This gives us the opportunity to sit and take in these two lovely churches, quite apart from the pleasure of hearing the music. In between we go to the Proms in the Albert Hall three times, and Helen takes in a "Proms at..." concert at the Sam Wanamaker Theatre in the Globe - vocal music inspired by Shakespeare played by the Arcangelo early music group. We discover Polish cuisine in London, eating out at two restaurants that serve excellent food at reasonable prices, with impeccable service. 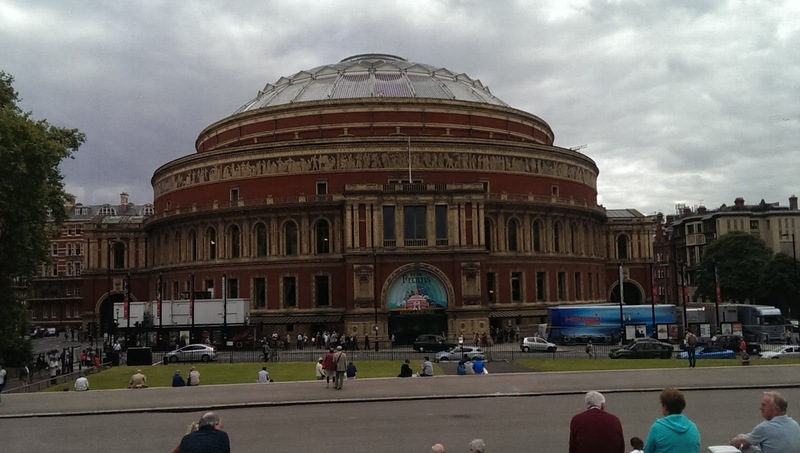 One is near the Albert Hall, the other near Southwark tube station, convenient for our return to Canary Wharf. We have good meals at the local Indian restaurant two minutes walk from the door of the flat. After a hard days walking we quite often return to the flat, cook a meal and veg out, but discover that free-to-air television in the UK has less to offer than television in Melbourne (for example, very old episodes of the Doctor Blake Mysteries!) So we read books and I try to keep the diary up to date instead. 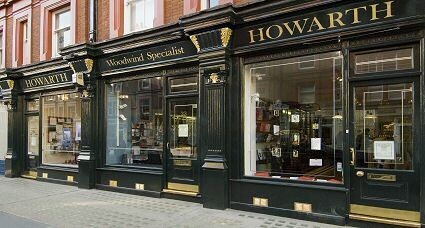 Another significant amount of indoor time was spent at Howarth's of London, purveyors of wind instruments. After four separate visits Helen finally settled on a pair of Buffet Festival clarinets (an A and a B flat). Then there was the fifth visit to collect them the day after the purchase, and one more visit to get assistance in taking the A clarinet apart (new joints are very stiff). This sixth visit was also an opportunity to buy a zip up case cover with backpack type straps, without which she would never have got the instruments safely home to Melbourne (along with her older clarinet, which had gone with her on the entire trip).